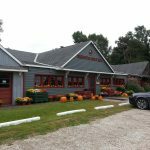 Rochester Cider Mill review, pics, and info – Rochester Cider Mill is on Rochester Road north of downtown Rochester between Orion Road and Snell Road in Rochester Hills. 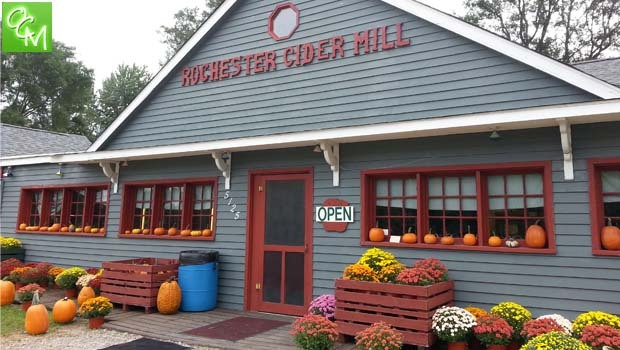 Even though Rochester Cider Mill isn’t the biggest tourist attraction of the local cider mills, its rustic charm and variety of goods make it a nice local mill to visit frequently in the fall to stock up on many fall favorites. RCM is rural, country charm. You feel like you’re almost transported to a 1920s general store. 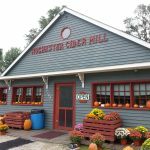 Rochester Cider Mill sells much more than cider, donuts and the usual cider mill sweets… At the cider mill, you can find beautiful fall flowers, vegetables, pumpkins, pecks of apples, Michigan-grown varieties of popcorn and much more. You can even buy cornstalks for decor and hay bales. 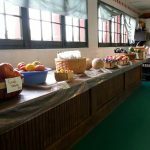 In many ways, RCM is as much of a farmers market as it is a cider mill. RCM has gone beyond the FALL season, they serve hand-dipped ice cream in the summer months. 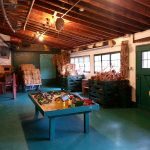 If you’re in the Rochester / Rochester Hills area looking for a huge, popular cider mill that’s ideal for kids… you’d be better off going to Blake’s, Westview or even Yates Cider Mill. 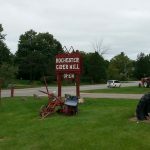 Rochester Cider Mills is on the smallish side but is beautifully landscaped and there are plenty of places to pull up a seat at a picnic table and enjoy your cider & donuts. 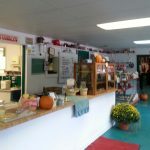 The Cider Mill is located just north of Downtown Rochester on Rochester Road and extremely close to Goodison Cider Mill & Paint Creek Cider Mill (on Orion Road). 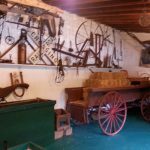 See our OAKLAND COUNTY / CIDER MILLS tab for more cider mills reviews and pics from Macomb County, Oakland County, and Metro Detroit, Michigan cider mills.